Admission of ITI Admission process 2017 - 2018 are under full Speed. 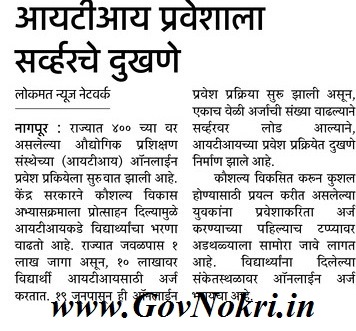 Large number of candidates are submitting application forms for the ITI courses from all over Maharashtra. But many time the website admission.dvet.gov.in is not opening due to heavy traffic. We have given alternative links for online application forms on this page.